It helps you and your audience see insights that weren’t obvious before. You can present information intuitively to individuals who don’t need to know how to interpret raw data. It can capture the attention of your audience and make your viewpoint stand out. 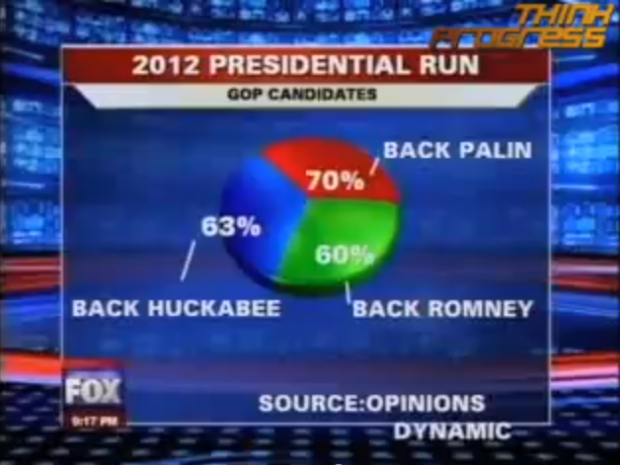 While many data visualizations can be incredibly useful, visualizing data incorrectly can be disastrous. In Edward Tufte’s book, Visual Explanations, Tufte explains how a bad visualization did not convey crucial information about the danger of cold temperatures on O-rings that ultimately caused the Challenger Shuttle to explode. The chart above was the original NASA visualization — hard to figure out what these scientists were trying to tell their colleagues, right? 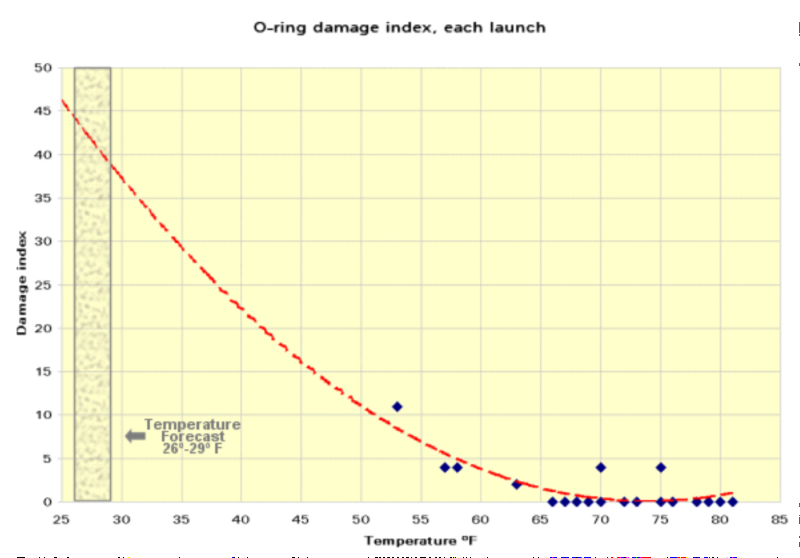 They were showing the damage to the O-rings and the temperature is associated with each launch, but we don’t inherently see the correlation between the two. There is also a lot of chartjunk, as Tufte refers to it, which pulls our attention away from the actually data and focuses it on the pictures of the rockets. Another fatal flaw in this chart is the order of the rockets — rather than showing it by temperature, it shows it by launch date. This only helps mask the dangers of launches in cold temperatures. 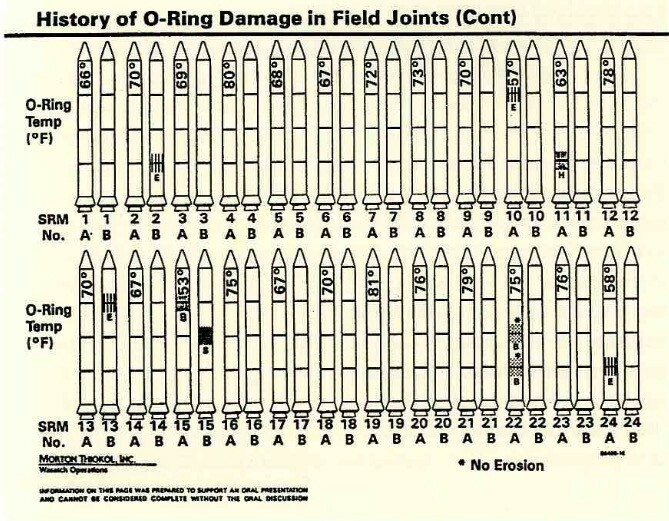 Tufte’s re-visualization of the same data (below) eliminates all the noise and shows the most important elements of the data: temperature vs. O-ring damage. Now we can see the dangers of launch more clearly with the dotted curve and clearly labeled axes. Now this chart is much clearer about the projected dangers of launching the shuttle in cold temperatures. The axes are clearly defined, the trend is marked in red, and the title outlines the purpose of the chart. Out of the 13 charts that were prepared before the launch, none of them conveyed the risks clearly to the decision-makers. 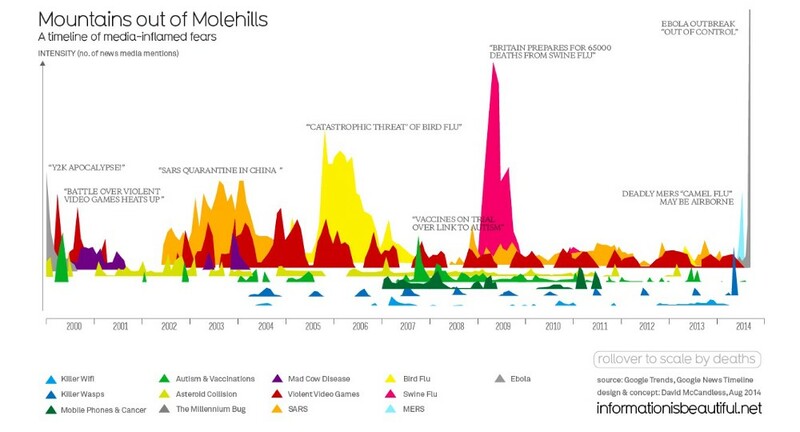 Of course, not everything is this extreme — most visualizations that aren’t well thought-out might convey the wrong idea or erroneous data without endangering lives. If you’re looking to capture attention and drive your insights forward, here are four questions to ask as you visualize your data. Who is your audience? Knowing the prior knowledge of your audience is a key component of creating a good visualization. Make sure you think about what the viewers already know about the subject you’re presenting and adjust your visualization accordingly. What is the message you need to convey? This should be your guiding light throughout the creation of your visualization. First, focus on the variables you need to visualize in order to get your message across — make those variables the focus of your graph. What relationship do they have and what type of chart should you use for that? Interactive charts are very engaging for individuals, but does it make sense for a group presentation if it can only display bits of information at a time? The format comes into play when you tackle the next question. What data should you display? More data does not always equal better data. Use your judgment to determine what data points and categories are most important to convey your message. Use the data to determine what type of visualization makes the most sense — make sure that it clearly shows the relationship between the variables that are most important to your message. Keep it clean and visually appealing for maximum impact. Is this visualization intuitive? If your audience cannot understand your graph within the first 30 seconds it is displayed, you need to rework your chart. Keep to conventions that people understand so they don’t have to work hard to get your message. 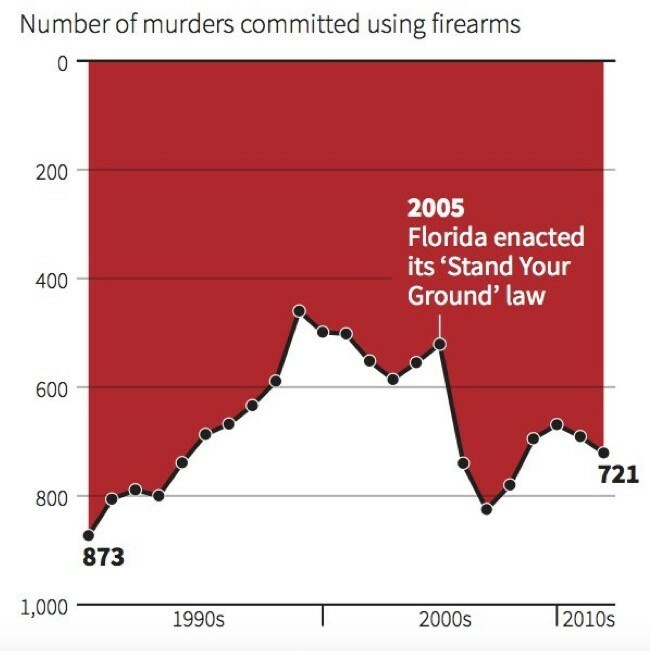 This upside-down visualization takes a minute to understand, thanks to the inverted Y axis. As long as these questions are driving your visualization, you will create a chart that not only conveys your message, but also remains memorable in the minds of your audience. Want to learn how to create interactive visualizations in just a few hours? We teach that!